Do Nice Dentists Finish Last? – Do Dentists Have to be Cruel to be Kind? Ever heard the phrase, “you’ve gotta be cruel to be kind?” It has never been truer than when referring to gum disease treatments. Periodontal disease affects as much as 80% of US adults, but the way dental practitioners handle periodontal treatments may be part of the problem. Patients avoid periodontal treatment due to lack of treatment urgency, not fully understanding necessary treatments, and money. Many dentists hesitate to fully explain and recommend periodontal therapy because they fear patients will simply cancel appointments due to the added cost. Instead, dentists tend to try the “nice” approach – recommending periodontal appointments every three months but billing them as regular dental cleanings during six month checkups. However, by changing the focus of periodontal disease treatment to communicating clearly, emphasizing assessment and prevention, and working with patients to maximize insurance benefits, dentists can better equip patients to receive the dental care they need. Continue reading Do Nice Dentists Finish Last? – Do Dentists Have to be Cruel to be Kind? There are a lot of tobacco users in this country. Whether it’s smoking, dipping, or any other kind of activity, tobacco can leave your mouth, and especially your smile, worse off. Think about it. There are countless carcinogens inside of a single cigarette that can have devastating effects on the appearance of your teeth. Yellow teeth are most often associated with smoking, but your tongue can turn yellow as well. It isn’t just the appearance of your teeth that should be important, your overall health is put into question with each puff. Oral cancer and other ailments are widely associated with tobacco use and for good reason. Gum disease and other ailments can also increase in size and scope when you smoke or dip. Do yourself a favor: stop. Your kids have been out of school for a couple months now, but before you know it it’ll be time to ease them into the back-to-school routine. Lost in all the fracas is the time necessary to receive a regular checkup. You were a kid once, what did you do during the summer? You most likely spent your days outdoors with friends getting into trouble and doing who knows what. Now that you’re older, you should understand the importance of a dental checkup, especially for your kids. Who knows what kinds of sugary treats and other goodies they’ve been gorging on for the past couple months. A dental checkup can check for problems and help keep their mouths healthy throughout the school year. Did you know that the month of March is National Nutrition Month as designated by The Academy of Nutrition and Dietetics? Everyone knows that diet and nutrition are critical to general health. 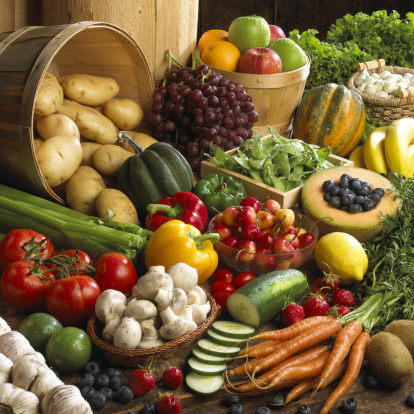 The fact of the matter is, however, your oral health is equally dependent on and affected by nutrition. Of course there are foods to limit for the sake of your oral health, like those that are loaded with sugar or highly acidic. But there are also foods, specifically certain fruits and vegetables, which are good for your teeth and gums. And with National Nutrition Month upon us, this seems like the time to offer worthwhile tips for your oral health. Citrus fruits, such as oranges, pineapples and tomatoes, are chock full of vitamin C, which is critical for the health of your gums. Without enough vitamin C, gums might become unhealthy and even bleed, an early sign of gum disease. Eventually, unhealthy gums may lead to tooth loss, so be sure to include lots of fresh citrus fruits for healthy gums and stable teeth. When you chew fruits that are high in fiber, salivation increases to help wash away food debris and bacteria that can be harmful to teeth and gums. Some of these fresh fruits are apples, oranges, pears, and watermelons. This increase in saliva reduces the acid level in your mouth and helps avert dry mouth, which makes teeth more vulnerable to decay. In addition, as you chew fiber-rich fruits, you’re also massaging your gums. Eating hard and fibrous vegetables, such as carrots and celery, provide your body with a good source of beta carotene. Your body needs beta carotene to make vitamin A, which is a nutrient that is vital to building strong teeth. These and other hard vegetables also massage your gums as you chew. And the water content in these vegetables cleans your teeth and gums. Onions are great for your oral health, because they contain antibacterial sulfur compounds. These antibacterial compounds help kill the bacteria that can lead to tooth decay and gum disease. And, of course, they are strongest when eaten fresh and uncooked, so be sure to brush your teeth or rinse with a refreshing mouthwash after boosting your oral health with onions! So, here’s to your health… your oral health! Do you often awaken in the morning to find that your jaw is sore or that your neck and shoulders feel tense? Perhaps you suffer from frequent headaches that tend to begin in the area surrounding your temples. These symptoms are common in individuals with nighttime teeth grinding and daily jaw clenching, or bruxism and temporomandibular joint disorder (TMD). Fortunately, treatment for these orofacial issues is typically non-invasive, affordable, and easily accessible at your dentist’s office. What Causes Jaw Clenching and Teeth Grinding? There are a variety of reasons that people with TMD and bruxism engage in the unconscious behavior of teeth grinding and clenching. Malocclusion, or an improper bite, is a major factor, as is daily stress. While you are sleeping, you are not able to stop the overworked muscles in the jaw and face from overtaking themselves further, leading to numerous symptoms that can affect you all day. For many, the primary complaint related to TMJ disorder is headache pain that interferes with daily functioning. The delicate joints that connect your lower jaw to your cranium can become irritated and inflamed, causing nerve pain that can even spread to your upper back. This can lead to posture problems that further exacerbate the issue. In cases of teeth grinding, the patient is typically unaware that their jaws are placing inordinate amounts of pressure on their teeth all night. Bruxism can cause tooth fractures and enamel erosion, both of which can prove to be serious problems if not treated in a timely manner. In the majority of cases, a nighttime mouthguard is used to prevent damage to the teeth caused by clenching and grinding. This custom oral appliance fits comfortably in your mouth as you sleep, helping position the jaws properly so that the muscles aren’t unnecessarily strained. Patients who have been clenching their jaws for years are surprised to find that they experience relief from their discomfort in as few as one or two nights with their new appliance. If you believe that you or someone in your family is suffering with the ill effects of TMJ disorder or bruxism, ask your dentist about a custom oral appliance. Relief could be a phone call away! Pediatric Dental Care 101: Teach Your Children to Love Their Teeth! Teeth need love too! Especially your child’s teeth. The healthy development and maintenance of your child’s first teeth are vitally important to their future health and well being. Primary teeth help children learn to speak clearly and chew naturally. Primary teeth also forge the path that adult teeth follow when they’re ready to erupt. Healthy dental care foundations laid early in life will lead your child to positive dental outcomes in the future. You should choose a family or pediatric dentistry with a friendly environment that focuses on your child’s growth, development, and oral health education. Prevention, in the form of regular dental checkups, will help you take charge of and protect your child’s dental health. When Should Your Child Start Seeing a Pediatric Dentist? Children should start having comprehensive dental exams twice a year, beginning around their first birthday. Their very first visit will establish a positive outlook towards dental care and dental practitioners. Does your child have a fear of the dentist? To help a fearful child visit the dentist, talk with them about the visit. Discuss the positive aspects of good dental care, and remind them that going to the dentist is a privilege for big boys and girls. Try not to use words such as fear, needle, pull, drill, or pain. There are many online resources to help you find dental language that is pleasant and non-frightening to children. Try to reassure your child that dentists and dental office helpers will always be gentle and friendly. Remember, regular pediatric dental visits give children a solid foundation for a healthy life, through adolescence and adulthood. You should look for an experienced and gentle pediatric dental practice in your area. Pediatric dentists have at least two extra years of specialty training following dental school to treat the special dental needs of children. Pediatric dentists can be the primary or specialty dental care providers for infants, children, and teens. Show your love this season, and make a dental checkup appointment for your child with a qualified pediatric dentist today. 2014 is rapidly coming to a close, and New Year’s Day is just around the corner. People from all around the world are coming up with ideas for their New Year’s resolutions, hoping to make this the year they make great strides toward self-improvement and better health. As we all prepare to welcome 2015 in style, we’d like to take a few moments to suggest one resolution that is not only easy to keep but incredibly rewarding as well. Biannual checkups and cleanings are critical components of any oral hygiene regimen. They present you with the perfect opportunity to ask your dentist any questions you may have about your teeth and gums, as well as any other concerns you may have at the time. These simple visits also include a thorough exam and cleaning, two things your teeth desperately need to stay healthy for life. Unfortunately, many people still believe that it’s fine to skip out on their routine checkups because they haven’t noticed any problems that warrant a dental visit. The problem with that line of thinking is that not every oral health concern presents with noticeable symptoms. The early stages of gum disease, for example, may be virtually undetectable. Small cavities – particularly those that form between the teeth – may be difficult to see or feel until they have progressed to a more advanced stage of decay. Even a root canal infection may slip under your radar without the practiced eyes of a dentist to spot the signs with a detailed x-ray. 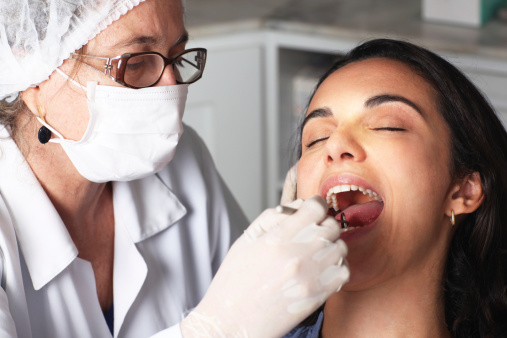 The great news about dental checkups is that they are covered by most dental insurance plans; you may not have to pay a single penny to get your teeth cleaned by a dedicated professional! Make the Smart Resolution Today! While vowing to eat healthily, save money, and get in shape are all viable and popular resolutions, we suggest placing more emphasis on your oral health this year as well. Your mouth serves as a portal to the rest of your body, and the status of your teeth and gums can potentially affect your overall health. This New Year’s Eve, make the decision to treat your smile well with routine preventive visits at your local dental office. You’ll be glad you did. There are many reasons to smile this time of year. We have beautiful decorations, holiday gatherings with family and friends, delicious meals, savory desserts, and the joy of gift giving. But what will your family and friends see when you smile this holiday season? Over time, our teeth can discolor and stain because of foods and beverages like coffee, tea, and sodas. Your teeth can also yellow and stain from tobacco and alcohol use. However, they don’t have to stay that way. If you want your family and friends to see the dazzling white smile you had before discoloration and staining set in, make an appointment for professional teeth whitening today. 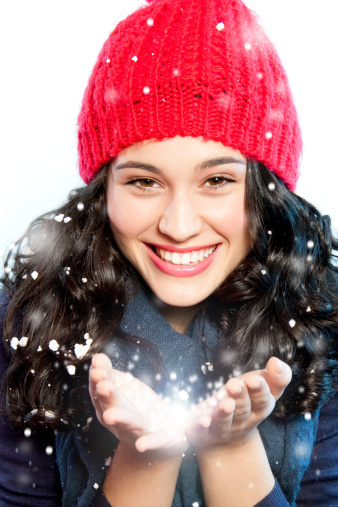 You could brighten your smile this holiday season in just one hour with professional teeth whitening. What About Teeth Whitening Toothpaste? You may have already tried switching to a teeth whitening toothpaste. But whitening toothpaste is truly the least effective whitening option. Whitening toothpastes are made with mild abrasives that can only polish away shallow surface stains. They don’t contain the bleaching agents needed to truly alter the color of the enamel. It’s best to reserve whitening toothpaste to care for your teeth after you have used a more effective teeth whitening treatment. Does Over-the-Counter Teeth Whitening Really Work? These products may include whitening kits, whitening gels, whitening strips, or whitening rinses. They are widely available and they make a lot of promises. Yet, it can take several weeks of daily use to get any significant results with these products. In the mean time you’ll have to avoid any coffee, tea, soda, or wine until you’re finished with the treatment. Additionally, any misstep in their application could result in irritation or infection in your teeth or gums. The time, inconvenience, and risk of misapplication make these products difficult to recommend. The easiest and most reliable choice is to visit your dentist for professional teeth whitening. Your dentist can offer you a one visit treatment or an easy-to-use take-home option. The dentist uses powerful bleaching agents that can whiten your teeth several shades in just one-hour. But, unlike the over-the-counter treatments, the dentist can make sure that your teeth and gums are not irritated in the process. Moreover, bleaching agents may not be able to remove some forms of discoloration and deep staining. Your dentist will be able to recognize this and offer alternatives like dental bonding or veneers. Don’t make the mistake of using the wrong teeth whitening method. Get the brighter and whiter smile you deserve this holiday season with a professional whitening treatment from your dentist. Most people know that good oral hygiene includes brushing your teeth at least twice a day. And for most, those two times are usually in the morning—as you’re rushing to work or getting the kids off to school—and at night, when you’re fighting to keep your eyes open before falling into bed. Regardless of whether your day is beginning, ending or somewhere in between, proper brushing is worth the time and effort for good oral health. First off all, did you know that proper brushing requires at least two minutes? Most adults spend a fraction of that time brushing their teeth every morning and night. Try looking at the clock when you start brushing, then brush normally and check the time when you’re finished. Chances are you didn’t spend enough time to thoroughly clean your teeth. To really do a good job and ensure better oral hygiene, spend two minutes brushing. What is the Best Technique for Brushing Teeth? When brushing your teeth, it’s important to hold your toothbrush at a 45 degree angle against the gum line and sweep or roll the brush away from your gums. Don’t brush side to side, which can scrape your gums. And be sure to use short strokes as you brush away from your gums. Start out cleaning the outer surface of your upper teeth and then your lower teeth. Continue by brushing the inner surface of upper and lower teeth. Then, brush the chewing surfaces of your teeth, concentrating on your molars. Finally, be sure to brush your tongue, too. Always choose a soft brush with round-ended bristles. Stiff bristles can hurt your gums. A powered toothbrush can be a good choice, too, especially if you have difficulty brushing because of limited manual dexterity. The type of toothpaste you choose is an individual matter. There are a variety of toothpastes to address a variety of concerns from teeth whitening and cavity prevention to eliminating tartar and reducing teeth sensitivity. Talk with your local dentist about which toothpaste is best for you. 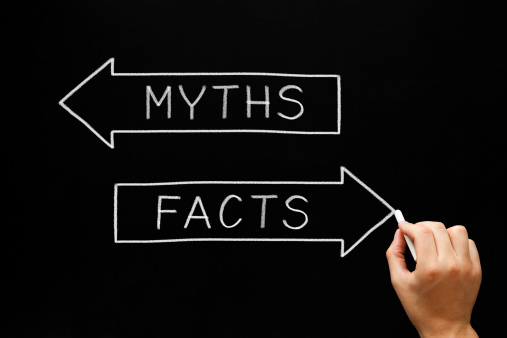 Another dental myth that you may have heard is that you should not brush or floss your teeth if your gums are bleeding. This is actually the exact opposite of what you want to do, and there could be many reasons why your gums could be bleeding. Bleeding gums is usually a sign of plaque and other particles irritating them, and it is important to remove whatever is aggravating your gums as soon as possible. Brushing and flossing your teeth as well as you can is one avenue you can take in order to stop your gums from bleeding.